One night, Akari has a dream of being attacked by a plant monster and witnesses a stronger version of herself defeat it. When she awakens, she discovers to her horror that the monster was actually Fuyuna. But mysteriously, Akari and her relatives soon forget Fuyuna ever existed. 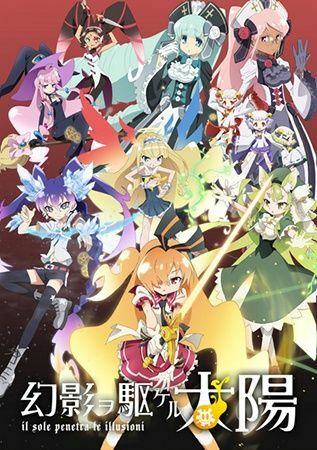 After another close encounter with a similar monster, she is rescued by three magical girls: Ginka Shirokane, Seira Hoshikawa, and Luna Tsukuyomi. They explain that they are from the Sefiro Fiore organization, which uses Elemental Tarot power to fight the evil creatures known as "Daemonia." Akari discovers she too is a magical girl and has inherited her mother's power of The Sun card. However, she comes to realize Daemonia are actually people who have been possessed, and she must decide whether to try to save what is left of their humanity or to wipe them from existence. As Akari comes to terms with her grim duty of protecting the world from Daemonia, the bonds of the organization and that of their team will soon be strained when they deal with grave threats from the outside and from within.